MIT Media Lab researcher Joy Buolamwini has responded to criticisms of her study on algorithmic bias in services offered by Amazon and other companies, while comments from police using Amazon Rekognition and Microsoft President Brad Smith are likely to further inflame the simmering public debate about the use of facial recognition by law enforcement. “We do not set nor do we utilize a confidence threshold,” a Washington County Sheriff’s Office (WCSO) Public Information Officer told Gizmodo, despite Amazon assertions that law enforcement clients should use a threshold of 99 percent. Buolamwini directly addresses several points made by AWS General Manager of Artificial Intelligence Dr. Matt Wood, as well as other criticisms, in a lengthy Medium post. The first point of the rebuttal is a reiteration of the potential for abuse that even the most accurate facial recognition technology has. This potential includes the use cases that support mass surveillance, or discrimination of certain groups, Buolamwini argues. 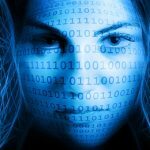 To Wood’s assertion that the study results are misleading because they are based on facial analysis rather than facial recognition technology, she contends that all systems analyzing faces need to be assessed for harmful bias, and that the two technologies are related in a very significant way. 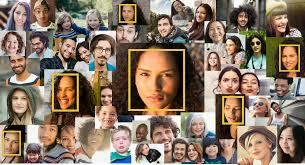 “The failure to even detect faces of color in the first place has been a major problem for studies around facial analysis technology, because often these studies are based on results on faces that were detected,” she writes. The lack of information about the dataset used by Amazon for its algorithm tests, and in particular a lack of information about its demographic breakdown, prevents assessment of its bias, or lack thereof, according to Buolamwini. She also notes that while confidence scores can be helpful, they can simply indicate confidence in a falsehood, and that NIST research shows that those who use facial analysis often use the default settings. The response says Amazon’s assertion that its newest algorithm was not used ignores the fact that older versions are sometimes used, and Buolamwini asks what the adoption rate is for the new version. To criticisms that attribute or gender classification is not relevant to law enforcement considerations, she points out that it can be used to narrow search fields, and that NIST even provides information about how the technology can be used by police. In a statement, an Amazon spokesperson wrote that the WCSO use of Rekognition is a good example of the technology’s capacity for helping law enforcement, and that it essentially performs the same process as was previously done much more slowly and less accurately by officers. Smith, meanwhile, told Business Insider that preventing government agencies from using facial recognition is going too far. While he recognizes risks associated with the technology’s use, particularly by law enforcement and certain governments, Smith cites its use in diagnosing rare diseases, such as DiGeorge syndrome. He also refers to the use of facial recognition by New Delhi police to attempt to find 5,000 missing children, but local reports and Delhi’s High Court have called the project’s effectiveness into question.